From bullies on the playground to backed up bathroom sinks, from New York state legislation to new technology for children with learning disabilities, a day in the life of a principal can incorporate an incredibly diverse set of challenges. 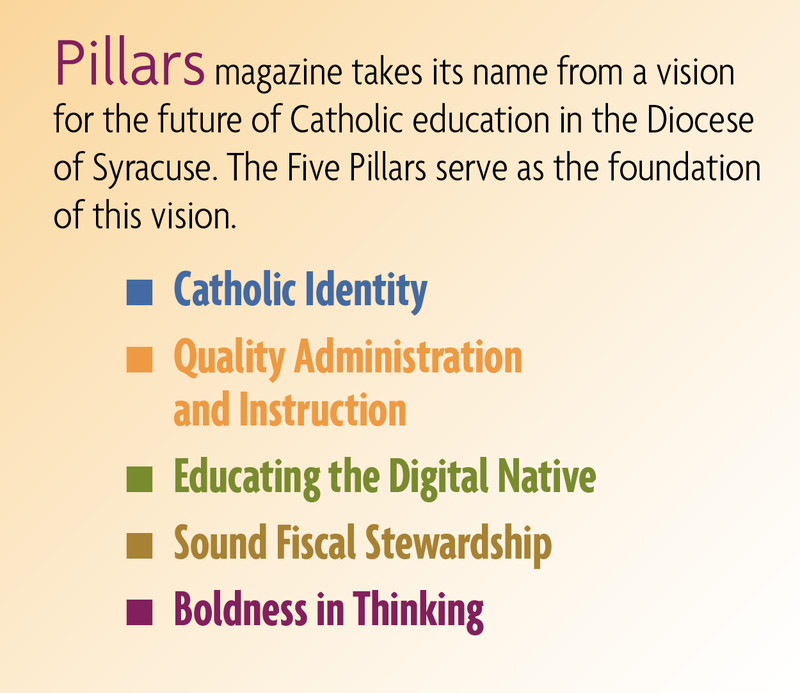 To help prepare the next generation of principals to meet these challenges, the Syracuse Diocese has teamed with Le Moyne College to offer certification in School Building Leadership as part of its graduate courses in Educational Leadership. The School Building Leadership Program provides New York State certification to prepare teachers and administrators for positions such as principal, department chair or assistant principal. Faculty members who would like to take part in the program benefit from a system in which the diocese, Le Moyne and the student split the tuition in thirds. “For a Le Moyne education, that was a no-brainer,” said Denise Hall. Hall was a 6th grade teacher at St. Mary’s School in Cortland, NY, when she began the program in 2008. She was just three courses in when she was called upon to act as interim principal. She has now been principal of the school for three years. Hall said the coursework she had was invaluable in changing how she understood the work being done in classrooms throughout the diocese. It was her very first class, one on school law, which had the biggest impact on how she viewed her work. “It was probably the class that changed me the most. I went in there looking at things through teacher’s lenses, and it just changed everything. The certification requires 30 credits of coursework in topics such as human resource management, supervision, culturally responsive leadership and social justice, as well as an internship. Classes also focus on more principal-specific topics, such as effective strategies for marketing the school, how to motivate teachers and how to integrate technology into the school system. “You might have somebody who’s been a teacher for 37 years, and you can’t just say to them ‘Okay, now go use a Smartboard,’” said Renae Henderson, principal at St. Mary’s Academy in Baldwinsville, NY. Being an effective principal is about more than just managing the school, according to Henderson, and the Educational Leadership Program provides the necessary tools to help principals consciously and consistently lead, rather than simply cope. “The Educational Leadership Program prepares administrators to successfully lead schools and really maintain a vision for the 21st Century,” she said. 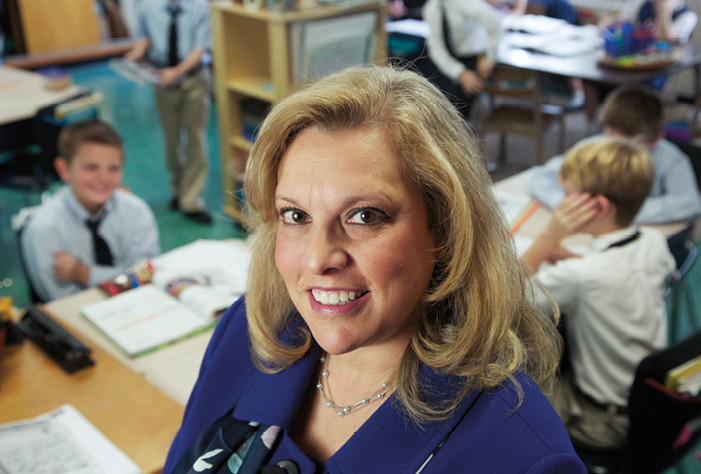 Henderson said it took her three years to complete the program while she worked full-time as a teacher at Holy Cross School in DeWitt, N.Y. She took classes during the summer, spent her Saturdays attending educational law courses and clocked 480 hours of internships at two schools and the diocesan schools office. This took her 13 months of tacking on a few hours at the end of the school day or coming in early to coordinate a before-school program. Despite the demands, Le Moyne worked with students to accommodate their schedules while teachers inspired the students to keep going. Henderson graduated in 2011 and got the job as principal at St. Mary’s that June. The courses taught her valuable lessons in how to lead others. “Make an effort to understand them and where they’re coming from and really support them, and when you do that, you earn the respect of the teachers and of the parents,” Henderson said.